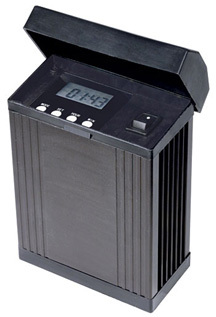 Cal Pump transformers reduce 120 volt to a safe, economical 12 volt power supply for many low voltage applications, with the added convience of programmable digital timers. These transformers eliminate the risk of electrical shock to children and animals if the cable is accidentally damaged or cut. The TRT75 and TRT150 transformers are ideal for powering all of your low voltage lighting. Note: These are solid state transformers and may cause flickering with some LED fixtures. 6/28/2014 – Where could I find instructions on how to program this item?